Ozzy Pups never used to bark. At anyone. At anything (except the printer that one time). Then, about two years ago, we moved. And the dog across the street barks every time someone walks by. So does the dog next door. And the dog across the street and two houses up. So does the dog three houses up and the dog that lives behind us. Now Ozzy barks when dogs walk by and almost every time someone comes to the door. Which is awesome when I’m trying to get Scout to sleep. Even awesomer now that Scout is down to one nap that just so happens to take place exactly when our mail person arrives. Nothing better than seeing your little one’s eyes flutter as you read them a story, and then BOOM! BARK! BARK! BARK! That leaves me with only one choice. 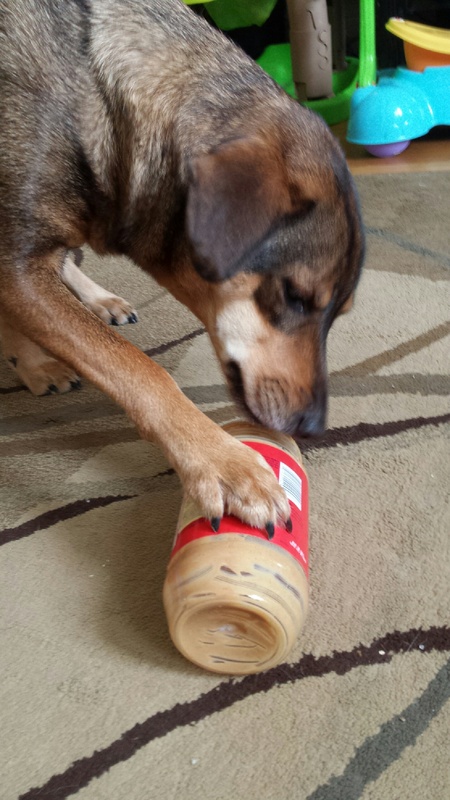 To sacrifice the peanut butter…. Thanksgiving-Themed Frozen Yogurt: Creamed Corn? 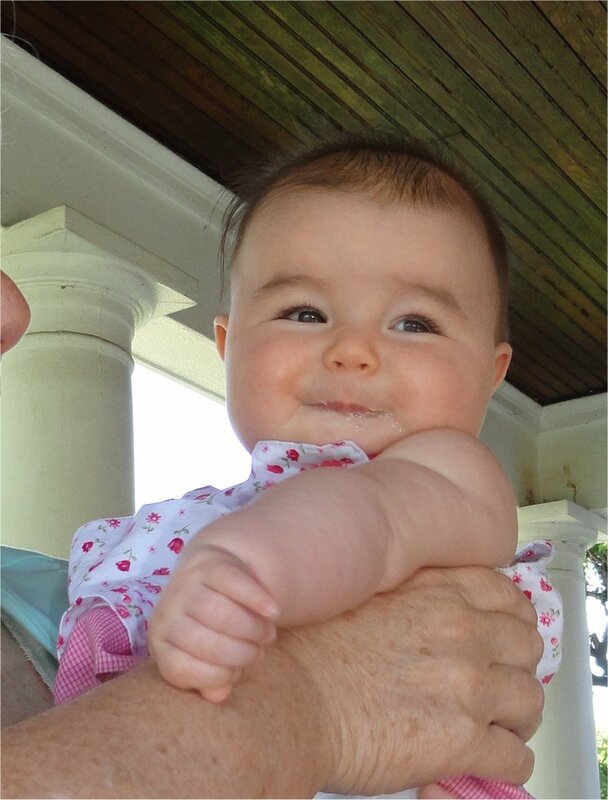 In case you didn’t know, my blogger-buddy Misty had a baby. And although I plan to descend upon her and the baby (aka possibly Scout’s future boyfriend) soon, we tried* to squeeze in one more prebaby date. *The Braxton Hicks decided to trick Misty, so we didn’t meet. So we were going to meet for frozen yogurt. A dessert fiend and a pregnant lady. Where else would we go? Duh. Reeeeeeeeeally. Creamed corn frozen yogurt. Who decided that was a good idea? Veggies and dessert do not mix—That comes from someone who claims her PB&J is a fruit because it contains strawberry jelly. What’s the funkiest flavor yogurt you’ve tried? It’s that time of year. Pumpkin flavor has returned. Have you seen the 16 Reasons You Should Never Reenact Pinterest Photos? 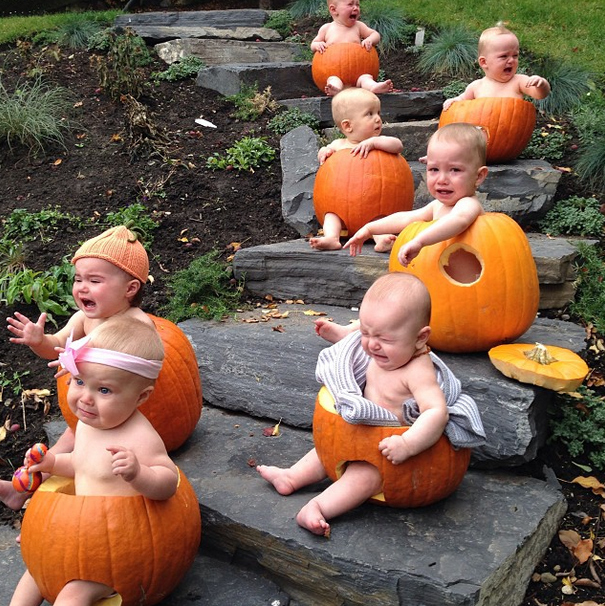 There’s a special section on pumpkins (ick!) and babies (awwww!). These poor, poor babies. Not one of them looks happy. They’re all crying except for the third one from the top, but I think that’s only because he was put in last, and he’s still a little dazed. Or he has an escape plan. So remember this picture the next time you see a pumpkin. Oh Where, Oh Where Can My Baby Be? Takes 3-4 45-minute naps a day every 2 or 2.5 hours. Sleeps through the night for 10 hours. Puts herself back to sleep when she wakes up. I do not appreciate the pod baby you have left in her place. You see, the pod baby is teething. Don’t be fooled by the cuteness. This IS a future pod person. The pod baby you see above is not as easy going as my baby. This pod baby nurses to sleep, wakes up an hour later, must fall back asleep on me, and then wakes up every time she goes back into the crib, so I finally give up and bring the pod baby into Mommy and Daddy’s bed where the pod baby decides every few hours that she must sleep on me, not next to me. And, of course, I get no sleep because I’m convinced I will either roll on said pod baby or roll over while the baby is on top, which will send the baby onto the floor. Thoughtsy: When does the teething stop? Kiefer: I think they have all their teeth around 2 years. So there you have it. Just when I thought sleep was once again mine for the taking, I find out there’s another year and a half of no sleep. I wish I had something to blog about. I thought about trying to put a funny spin on how Boo and Radley’s mom pissed me off. Or how a minitrip to Ohio for my cousin’s wedding screwed up Scout’s sleep schedule. She’s back on track now and sleeping better than ever—10 hours straight at night. Or how while Kiefer was traveling for work for 2 weeks Esme Kitty returned to sleeping on my head. Or how I turned 33. 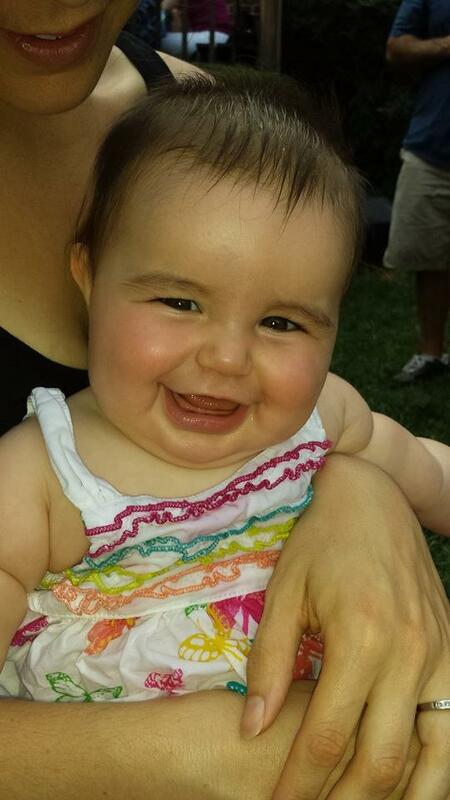 Voted Most Pinchable Cheeks Ever.